Reichert M.S. & G. Höbel. 2018. Phenotypic integration and the evolution of signal repertoires: a case study of treefrog acoustic communication. Ecology & Evolution, in press. Underhill V.A. & G. Höbel. 2018. Moonlighting? – Consequences of Lunar Cues on Anuran Reproductive Activity. Acta Oecologica, 87: 20-28. Neelon D.P. & G. Höbel. 2017. Social plasticity in choosiness in green tree frogs, Hyla cinerea. Behavioral Ecology, 28(6): 1540-1546. Underhill V.A. & G. Höbel. 2017. Variation in nocturnal light levels does not alter mate choice behavior in female eastern gray treefrogs (Hyla versicolor). Behavioral Ecology and Sociobiology, 71(10): 151. Symes L., G. Höbel & R.L. Rodríguez. 2017. Beyond temperature-coupling: Effects of temperature on ectotherm signaling and mate choice and the implications for communication in multi-species assemblages. Ecology & Evolution, 7(15): 5992-6002. Reichert M.S. & G. Höbel. 2017. Frequency-channel dependent selectivity for temporal call characteristics in gray treefrogs, Hyla versicolor. Journal of Experimental Biology, 220(7): 1256-1266. Kilmer J.T., K.D. Fowler‐Finn, D.A. Gray, G. Höbel, D. Rebar, M.S. Reichert & R.L. Rodríguez. 2017. Describing mate preference functions and other function‐valued traits. Journal of Evolutionary Biology, 30: 1658–1673. Höbel G. 2017. Social facilitation is a better predictor of frog reproductive activity than environmental factors. Biotropica, 49(3): 372-381. Höbel G. 2016. Female discrimination thresholds frequently exceed local male display variation: implications for mate choice dynamics and sexual selection. Journal of Evolutionary Biology, 29(3): 572–582. Höbel G. & A. Christie. 2016. 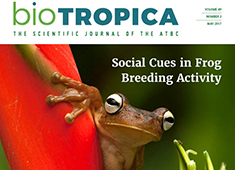 Do Green Treefrogs use social information to orient 0utside the breeding season? Zoological Studies, 2015, 55: 17. Höbel G. & S. Fellows. 2016. Vocal Repertoire and Calling Activity of a Dwarf Clawed Frog (Hymenochirus boettgeri) Herpetological Review, 2016, 47(4): 543-549. Reichert M.S., L.B. Symes & G. Höbel. 2016. Lighting up sound preferences: cross-modal influences on the precedence effect in treefrogs. Animal Behaviour, 119: 151-159. Höbel G. 2015. Sexual differences in responses to cross- species call interference in the green treefrog (Hyla cinerea). Behavioral Ecology and Sociobiology, 69: 695-705. Höbel, G. 2015. Socially-mediated plasticity of chorusing behavior in the gladiator frog Hypsiboas rosenbergi. Acta Ethologica, 18: 145-152. Reichert M.S. & G. Höbel. 2015. Modality interactions alter the shape of acoustic mate preference functions in gray treefrogs. Evolution, 69(9): 2384–2398. Rodríguez R.L., M. Araya-Salas, D.A. Gray, M.S. Reichert, L.B. Symes, M.R. Wilkins, R.J. Safran & G. Höbel. 2015. How acoustic signals scale with individual body size: common trends across diverse taxa. Behavioral Ecology, 26(1): 168–177. Rodríguez, R.L., R.D. Briceño, E. Briceño–Aguilar & G. Höbel. 2015. Nephila clavipes spiders (Araneae: Nephilidae) keep track of captured prey counts: testing for a sense of numerosity in an orb-weaver. Animal Cognition 18, 307–314. Beaudry, P. & G. Höbel 2014. Hyla cinerea (Green Treefrog). Dorsal Spots. Herpetological Review 45(1): 111-112. Höbel, G. 2014. 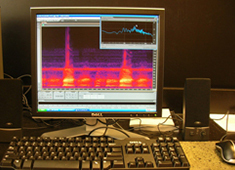 Effect of temporal and spectral noise features on gap detection behavior by calling green treefrogs. Behavioral Processes 108:43-49. Höbel G., D.S. Kim, & D.P. Neelon. 2014. Do green treefrogs (Hyla cinerea) eavesdrop on prey calls? Journal of Herpetology 48(3):389-393. Höbel G., & T. Barta. 2014: Adaptive Plasticity in calling site selection in gray treefrogs (Hyla versicolor). Behaviour 151:741-754. Reichert, M., Galante, H. & G. Höbel. 2014. Female grey treefrogs, Hyla versicolor, are responsive to visual stimuli but unselective of stimulus characteristics. Journal of Experimental Biology 217:3254-3262. Thomas, J.J. & G. Höbel, 2014. Hyla versicolor (Eastern Gray Treefrog). Lacrimal Spot. 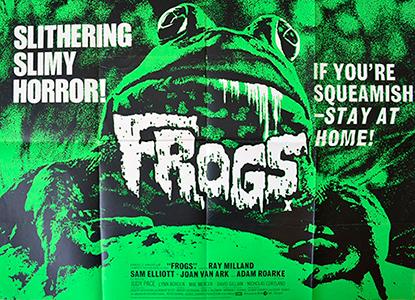 Herpetological Review 45(1): 112. Höbel, G. & R.C. Kolodziej. 2013. Wood frogs (Lithobates sylvaticus) use water surface waves in their reproductive behaviour. Behaviour 150:471-483. Rodríguez RL, Boughman JW, Gray DA, Hebets EA, Höbel G & Symes LB. 2013. Diversification under sexual selection: the relative roles of mate preference strength and the degree of divergence in mate preferences. Ecology Letters 16, 964–974. Rodríguez RL, Kolodziej RC & Höbel G. 2013. Memory of prey larders in golden orb-web spiders, Nephila clavipes (Araneae: Nephilidae). Behaviour 150, 1345-1356. Rebar, D., G. Höbel & R.L. Rodríguez. 2012. Vibrational playback by means of airborne stimuli. Journal of Experimental Biology 215:3513-3518. Vélez, A., G. Höbel, N. M. Gordon, M. A. Bee. 2012. Dip listening or modulation masking? Call recognition by green treefrogs (Hyla cinerea) in temporally fluctuating noise. Journal of Comparative Physiology 198: 891-904. Höbel, G. 2011. Hyla cinerea. Green Tree Frog. Cannibalism and Defensive Posture. Herpetological Review 42(1):85-86. Höbel, G. 2011. Variation in Signal Timing Behavior: Implication for Male Attractiveness and Sexual Selection. Behavioral Ecology and Sociobiology 65:1283-1294. Höbel, G. 2010. Interaction between signal position and signal feature preferences: causes and implications for sexual selection. Animal Behaviourv 79: 1257-1266. Höbel, G. & A. Slocum. 2010. Hyla cinerea. Green Tree Frog. Abnormal Vocal Sac. Herpetological Review 41(3): 335-336. Höbel, G. 2008. 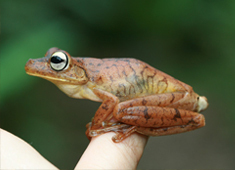 Plasticity and Geographic Variation in the Reproductive Ecology of Gladiator Frogs, particularly Hypsiboas rosenbergi. In: Natural and Cultural History of the Golfo Dulce Region, Costa Rica. Pp 329-334. Biologiezentrum der O Ö Landesmuseen, Austria. Höbel, G. 2008. The Amphibians and Reptiles of the Golfo Dulce Region. In: Natural and Cultural History if the Golfo Dulce Region, Costa Rica. Pp. 305-328. Biologiezentrum der O Ö Landesmuseen, Austria. Höbel, G. & H.C. Gerhardt. 2007. Sources of Selection on Signal Timing in a Tree Frog. Ethology 113: 973-982. Höbel, G. & J. Schul. 2007. Listening for males and bats: spectral processing in the hearing organ of Neoconocephalus bivocatus (Orthoptera: Tettigoniidae). Journal of Comparative Physiology A 193: 917-925. Pröhl, H., S. Hagemann, J. Karsch & G. Höbel. 2007. Geographic variation in male sexual signals in Strawberry poison frogs (Dendrobates pumilio). Ethology 113: 825-837. Robillard, T., G. Höbel & H. C. Gerhardt 2006. Evolution of advertisement signals in North American hylid frogs: Vocalizations as end-products of calling behavior. Cladistics 22: 533-545. Gerhardt, H. C. & G. Höbel. 2005. Mid-frequency suppression in the green treefrog (Hyla cinerea): implications for the evolution of acoustic communication. Journal of Comparative Physiology A 191: 707-714. Höbel, G. 2005. On the Acoustic Communication System of Eleutherodactylus fitzingeri (Anura: Leptodactylidae). Herpetological Review 36(3): 242-244. Höbel, G. 2005. Rana clamitans (Green Frog) and Rana catesbeiana (American Bullfrog). Reproduction. Herpetological Review 36(4): 439-440. Höbel, G. 2005. Rana palustris and Ambystoma maculatum. Reproductive behavior. Herpetological Review 36(1): 55-56. Höbel, G. & Gerhardt, H. C. 2003. Reproductive character displacement in the communication system of green treefrogs (Hyla cinerea). Evolution 57: 894-904. Höbel, G. 2000. Reproductive Ecology of Hyla rosenbergi in Costa Rica. Herpetologica 56(4): 446-454. Höbel, G. 1999. Facultative nest construction in the gladiator frog Hyla rosenbergi (Anura: Hylidae). Copeia 1999(3): 796-800. Höbel, G. 1999. Notes on the natural history and habitat use of Eleutherodactylus fitzingeri (Anura: Leptodactylidae). Amphibia-Reptilia 20: 65-72. 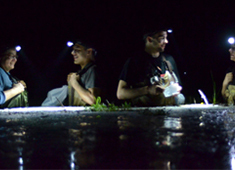 Höbel, G. 2007: Treasure Islands – looking for Poison Arrow Frogs at Bocas del Toro Archipelago, Panama. Reptiles Magazine, 2007(3):80-87. Höbel, G. 2006: Der Gladiatorfrosch. DATZ, 59(2): 54-56. Höbel, G. 2006: The Amphibians of Germany. Reptiles Magazine, 2006(12):44-53. Höbel, G. 2005: Der Orangekehl Springbarsch – ein empfehlenswerter Kaltwasserfisch aus Nordamerika. Aquaristik Aktuell, 2005(2):61-64. Höbel, G. 2005: Keeping Dwarf Clawed Frogs. Tropical Fish Hobbyist, 2005(9):96-100. Höbel, G. 2005: Prächtiger Nordamerikaner – Der Grossohr Sonnenbarsch. DATZ, 58(7):60-63. Höbel, G. 2004: Fortpflanzungsstrategien Costaricanischer Anuren I. DATZ, 57(7):38-42. Höbel, G. 2004: Fortpflanzungsstrategien Costaricanischer Anuren II. DATZ, 57(8):24-28. Höbel, G. 2003: Glasfr ösche – zarte Juwelen des Regenwalds. DATZ, 56(7):6-9. Höbel, G. 2002: Zwergkrallenfr ösche im Aquarium. DATZ, 55(5): 58-59. Höbel, G. 1999: Die Zwergbaumsteiger des Bocas-del-Toro-Archipels. DATZ, 52(1): 42-46.